Demo of the histogram (hist) function with a few features. the histogram is 1. 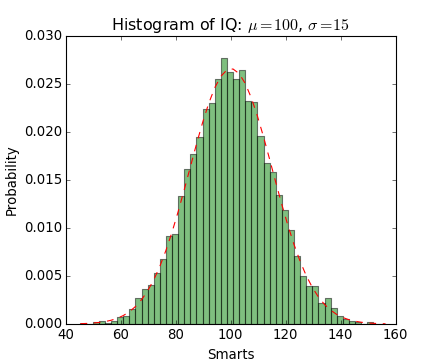 The resulting histogram is a probability density. * Setting the opacity (alpha value).